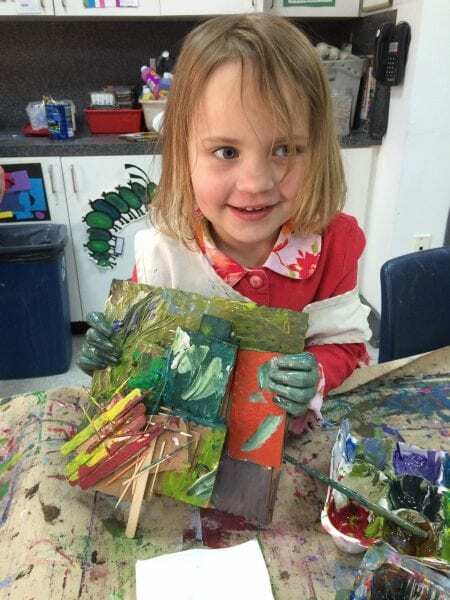 The Art’s First Steps preschool outreach program prepares preschool students for life-long learning in the arts and helps them make connections between the rich cultural heritage of their communities and the joy of creating authentic works of art. In the Art’s First Steps Program, a Michener educator will visit your school and provide stimulating art instruction based on the theme and medium of your choice. Using a variety of different art materials and techniques, students will delight in learning about painting, printmaking, sculpture, collage, and more. The Museum supplies all of the necessary art materials. A special feature of this program can be a class visit to the Michener Art Museum, where students will have the opportunity to interact with original works of art and experience first-hand learning in an art museum environment. Preschools work with the Museum’s Department of Arts Education to plan an Art’s First Steps program that suits their needs. Fees for lessons are established after details of each Art’s First Steps program are finalized. Scholarship funds may be available for schools working with underserved communities, Special Populations, or diverse learners. Art’s First Steps keeps art at the heart of education.